The exhibition will feature wireless equipment of contemporary high technology. Among the exhibits there are communication transmitters and receivers used by the British and USA army during and after World War II. 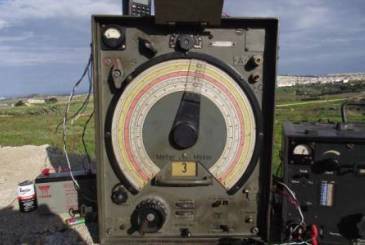 H2S equipment nowadays called radar invented by the British army in 1935 to detect IFF aircrafts and Homing L.F receivers. German spy transmitters receivers dated 1939 – 1942. Luftwaffe TRF receiver and three Russian receivers. Wehrmacht Fu.H.E.c short wave receiver monitoring British Aircrafts during their takeoff from their airfields. Aircraft long range transmitter used by Lancaster bombers and B17 are going to be operational during the exhibition. Time from Monday to Friday 08.30 till 17.00, Saturdays 09.00 till 17.15, Sundays 09.00 till 14.30.